Lyra depends on the time and talent of dedicated volunteers to help us share the music. If you enjoy baroque music and are willing to learn, consider joining our volunteer team! Whether it’s a gift of $10 or $1,000, your gift makes a difference! From show-stopping favorites and twenty-first-century premieres, to family concerts and educational programs, you ensure that this glorious music can be enjoyed by audiences of all ages. 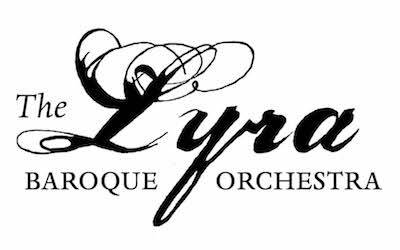 For further details on contributing to Lyra, contact Tami Morse, tami@lyrabaroque.org or 651-321-2214. Contributions to Lyra are tax deductible to the full extent of the law (tax ID #36-3369159). Employer matching gifts maximize your support to Lyra’s musicians and programs. Contact your human resources or business office to find out if they participate in employer matching gifts. Planned gifts provide a unique opportunity to leave a legacy that honors what matters most to you. Remember Lyra in your will or trust, or as a beneficiary of an IRA, 401(k) or insurance policy. Visit smile.amazon.com and register Lyra as your charitable organization of choice. Amazon.com will donate 0.5% of the price of your eligible purchases to Lyra! Are you a loyal Lyra supporter and also a Thrivent Financial customer? If so, ensure Lyra’s financial future while managing your own by directing your Thrivent Choice Dollars to Lyra. Help sustain Lyra through Thrivent’s giving programs!